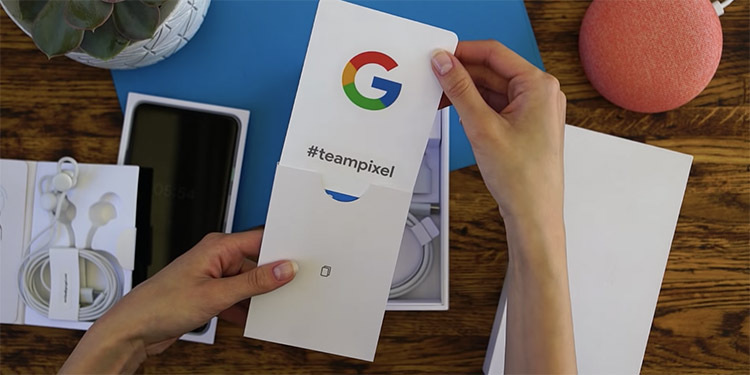 One of the highly anticipated events of the year – the annual Made by Google launch event – is around the corner with a host of announcements likely to be thrown at us by Google. The biggest attraction are the Pixel 3 smartphones which we are already familiar with. Over the last several months, there has been a great deal of noise around Pixel 3, thanks to the incessant leaks including the sale of allegedly stolen shipments in Europe. Along with these leaks, the tech world’s attention was also gripped by a range of controversies about Google intentionally staging them or even faking these leaks to keep people interested in the devices and possibly even to steal some limelight from the newly launched iPhones. Courtesy of these widespread leaks, most details about the Pixel 3 and 3 XL smartphones have been spread out on the table like a royal dinner. Let me take you through the alleged features of the Pixel 3 devices which should hold true in most of the cases unless Google really is pulling a ruthless practical joke. Perhaps the most intriguing aspect of a new smartphone is its appearance and from the numerous leaks, we have a fair idea of what the Pixel 3 and 3 XL will look like. 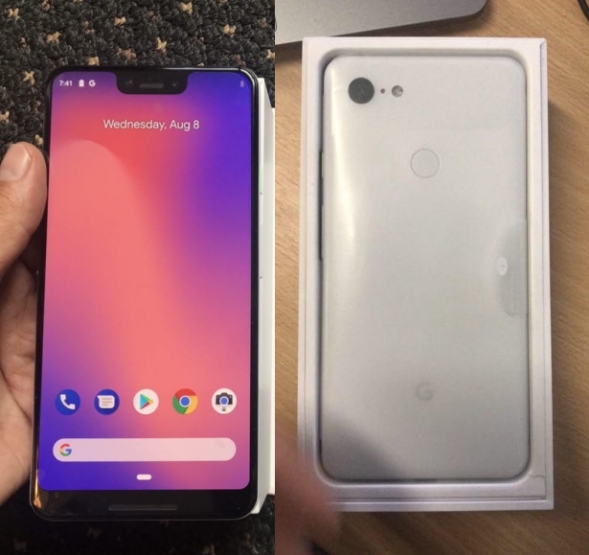 When it comes to the back of the two devices, chances that these will look similar to the last gen Pixel devices i.e. split with a glass and metal body. It was earlier confirmed that the Pixel 3 devices will have wireless charging and that’s where the top glass window could come handy. The fingerprint reader is also expected to be on the back along the center of the device. 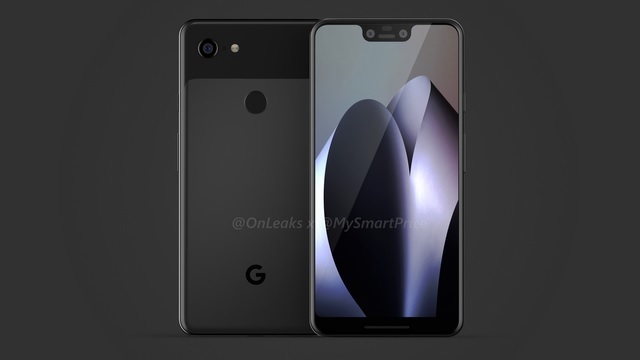 From the front, Pixel 3 XL, which has seen the most leaks, is expected to feature an edge-to-edge display with a notch while the smaller, Pixel 3, is likely to resemble the current Pixel 2 XL in terms of the shape but be comparable to the Pixel 2 in size. Pixel 3 devices will also come squeezable edges which can be set to actions like invoking the Google Assistant, just like in the predecessor. Google Japan’s YouTube channel has been teasing glowing edges and while it’s surely intriguing, there isn’t much that can be actually perceived from the video. Why don’t you take a look? The Pixel 3 and Pixel 3 XL will be identical in terms of internal specifications and will undoubtedly pack in the most powerful chipset for Android phones so far – the Snapdragon 845 clocked at 2.8GHz so there’s no compromise in terms of processing power. Besides the chipset, the two smartphones will also share the same RAM, which is expected to be limited to 4GB this year and not reach 6GB. Tipster Ice Universe also dug up and shared the Geekbench scores for Pixel 3 and these are in the range of what the OnePlus 6 with the same processor scored. Sadly, iPhone XS’ single and multi-core scores are much higher and seemingly unbeatable. When it comes to storage, there will be a 64GB base model while Google should also offer a 128GB variant. As usual, there would be no support for expansion. Despite the craze of dual cameras, Google is likely to stick to a solo snapper on the back of the Pixel 3 and 3 XL. However, on the front, there will be two cameras on the front to facilitate wide-angle selfies and more compelling bokeh shots. Lastly, Google is expected to stick with the thick chin on both variants which could house one of the dual stereo speakers. We haven’t heard any news about Google planting any facial authentication tech yet, perhaps because it thinks the fingerprint scanner should suffice at the moment. That’s a perfectly practical choice but those iPhone and Samsung Galaxy flagship users will miss the feature just in case they leap on to the stock Android bandwagon. Google seems to be emphasizing a lot on selfies and the primary sensor of the two (8MP+8MP) on the front will have autofocus, and dedicated features such as “Super Selfies” and “Top Shot” to make sure that the selfies are captured with the best of details, especially smiles, and also avoid blinking eyes. Contrary to its competitors, Google deems that a single camera on the back is good enough. Once again Google is relying on AI and computational photography to enhance captured pictures, and for various effects. 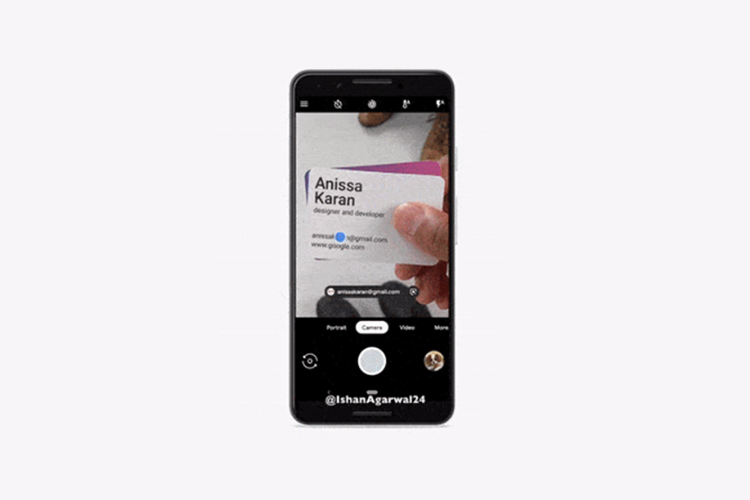 The new smartphones will also have real-time Google Lens support including the ability to detect e-mail addresses from business cards, and directly launching Gmail. 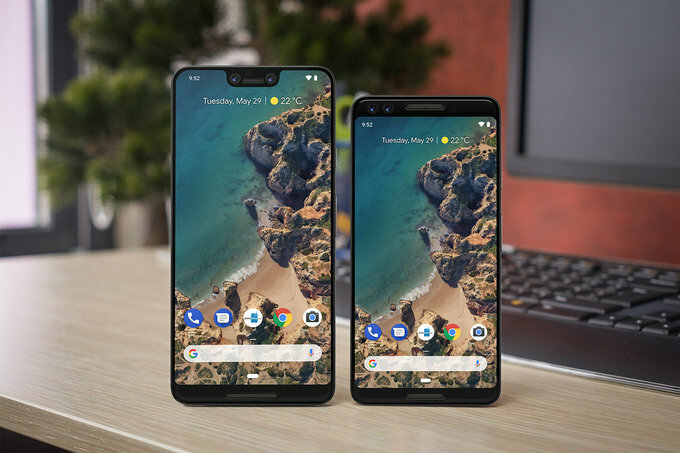 Pixel 3 and 3 XL will come with the latest Android Pie out of the box, and while most of the features are same as what we’ve seen in the update on Pixel 2, Nokia 7 Plus and others like the OnePlus 6 which have already received the update. The Pixel 3 XL is said to feature a 3430mAh battery which is has a smaller capacity compared to the Pixel 2 XL’s 3520mAh battery. At the same time, the smaller model of the two – Pixel 3 will have a 2915mAh battery pack, slightly larger than the one on Pixel 2. As we learned from the FCC listing, Pixel 3 devices will also feature wireless charging and we recently learned about the alleged Pixel Stand or wireless charging dock from Google which could turn your phone into a Google Assistant-powered smart display. 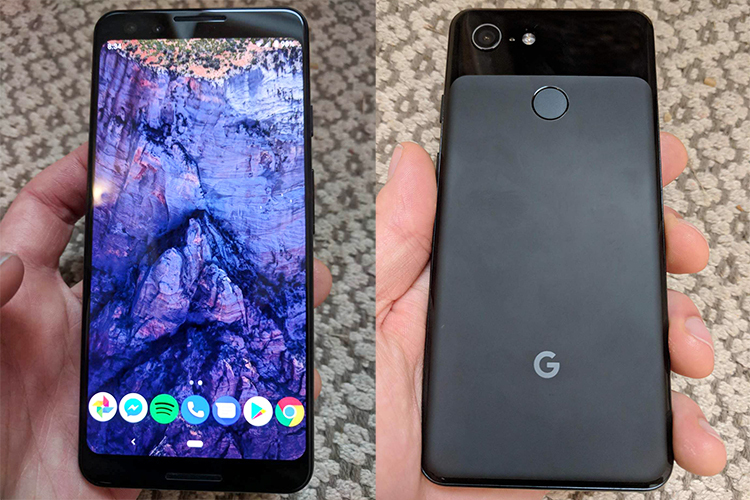 While 5G could still be too far-fetched to be expected on this year’s Pixel devices, Pixel 3 might have dual-band simultaneous (DBS), as per XDA Developers editor Mishaal Rahman. DBS technology will allow the use of 2.4GHz and 5GHz Wi-Fi bands at the same time. This will not only delivery faster transfer speeds but also allow you to use the Pixel 3 or 3 XL as a Wi-Fi repeater. On the audio front, Pixel 3 and 3 XL will lack a headphone jack, which was dropped by Google last year itself. However, it will be including a pair of USB-C Pixel Buds as well as a dongle within the retail packaging if you still want to use your wired headsets. The Pixel 3 and Pixel 3 XL have received barbaric treatment from leaksters, so much so that we have learned virtually everything about the two devices. Despite that, our interest in the two Made by Google devices has not drowned a bit, because as we all know the Pixel phones are more about the experience than the hardware specs. We’ll be on our toes on October 9 to bring you complete coverage on everything Google announces.